Mama is teaching baby how to navigate her surroundings as they waddle through the bulrushes along the river bank, leaving footprints along the way. 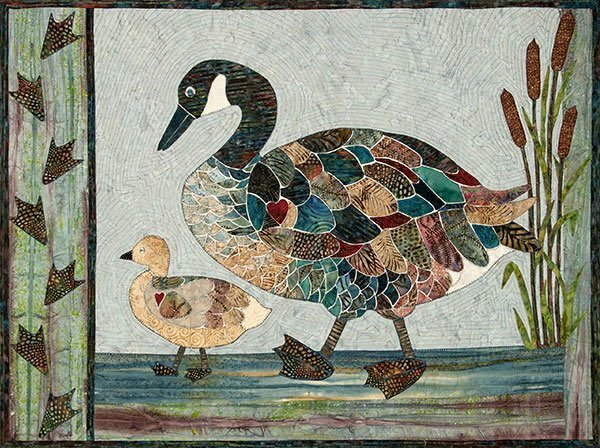 Let your imagination and artistic license soar by creating this goose with "her coat of many colours". We used a selection of feathery batiks which are readily available allowing for the graduation of colours. The machine appliqué pattern includes a full size drawing with feathers numbered and colour coded. Finished Size 40" x 50"